We often forget how the English vernacular has changed, and where we began. Now we might Google a word we want to know the definition of, or use Wikipedia in place of an Encyclopedia. It wasn’t long ago that Merriam, Webster, Oxford, Britannica and Roget were prominent names on our desks and shelves. THE booksellers of America, almost with one accord, declare that there is but a single comprehensive dictionary of our vernacular tongue, which every mechanic, student, and learned professor should adopt as his daily directory and standard, in that this chosen one is Webster’s Unabridged. Most certain it is, that in this way he would escape being humbugged, many a time, out of his wits, as well as his dollars, by the specious, emptiness, put up in book-form, and advertised into notoriety by speculators in the Fanny Fern and Barnum literature, every-where so marketable at the present day. So, setting aside entirely what the booksellers say, let us see if we may not reach the same conclusion as to which they pretend to have come by way of being premises. In the first place, then, we observe that every lexicographer may be viewed in two lights: first, as to his peculiarities; and second, as to his comparative merits. Let us now glance at Noah Webster in each of these aspects, in order to determine in what estimation we should hold his dictionary. Well, then, we may ask, what, and of what account are Webster’s peculiarities? If the great lexicographer were living to-day, and were to be questioned as to the changes he endeavored to make in the structure and use of our tongue through the medium of his system of lexicography, we may conceive, very nearly, what his response would be. He would say that from his earliest years our language was the theme of his thoughts in his studies; that his interest in its history and development grew with the growth and strengthened with the strength of his mind; that you a clear understanding of its origin and structure. He labored indefatigably and not without success; that, as he pushed forward his inquiries he made new discoveries with regard to the analogies and tendencies of our tongue; that he came to see the truth of Quintilian’s observation, that “speech was not formed by analogy, sent from heaven,” but was the fabrication of men, and, as a consequence, must be ever liable to corruption by the extravagancies of ignorance and the caprices of innovation. 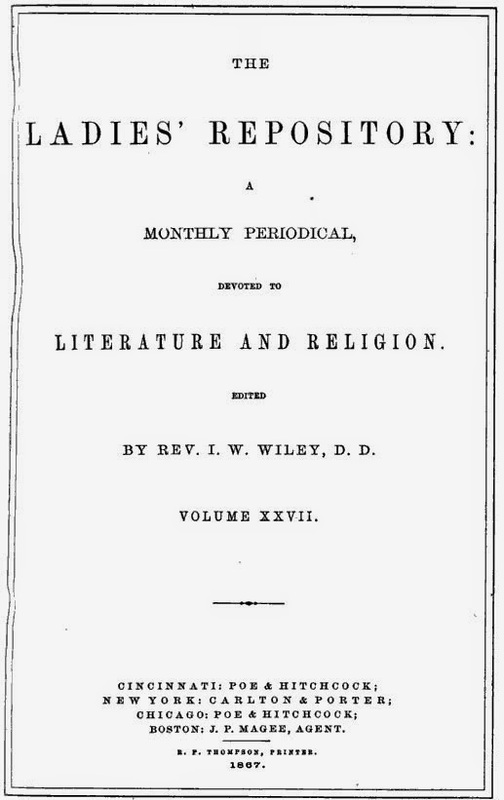 J. D. Bell, “Webster’s Unabridged.” in Davis Wasgatt Clark, editor, The Ladies Repository, (Cincinnati: Methodist Episcopal Church, 1855), June Number, 344.